Fig. 21. 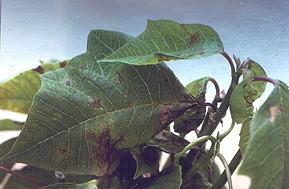 Angular leaf spots on poinsettia caused by Xanthomonas.